How to Earn Money from Shorte.st (My Favorite Tool) ? I have already written so many articles on the ways to make money online. Honestly, most of that ways require lots of technical knowledge, patience, website traffic, promotion, and other methods that a marketer uses to convince their customers. Generally, these days 90% online income generating platforms are doing scam with people and their hard earned money. People know this fact but still they invest and lose their money because they think that they have no other options to make money. Even these days bloggers with good ranking blogs are not making good dollars. There are lots of reasons behind this like now because of huge competition advertisers have so many alternatives and reasons to advertise on your competitor's blogs. If you are also one of them who tried a lot to earn real money online but didn't succeed then trust me and I am damn sure you are going to love this article and you might say just Awesome. Because in this post I am going to introduce one of my best and favorite online shortener tools to make money online. I would like mention here in short about how one can earn by using URL shortener sites. Simple, whenever you short a link using it, and people click on that shorted link you get paid. Shorte.st paying for shortened URLs ? Really ? I can just say, it's an awesome question. Every serious person wants to know the answer of this question. See, these sites pay money because when the shortened links get clicked, people don not get redirected to the destination page, first rather they see an ad page first that can be skipped after 5 seconds. After 5 seconds you can skip that page to go to the destination page. Means firstly, URL shortener sites earn money from advertisers for showing their CPM ads to people for those 5 seconds, and you earn money because you do the job of shortening and promoting the links. Now, most of you people might have listened already about URL shortener's like Adfly, LinkShrink, Quo.io. But today I am not going to discuss any of above listed, after checking and satisfying myself I am about to discuss my favorite URL shortener tool Shorte.st. Shorte.st is a link shortening tool developed by a European company. 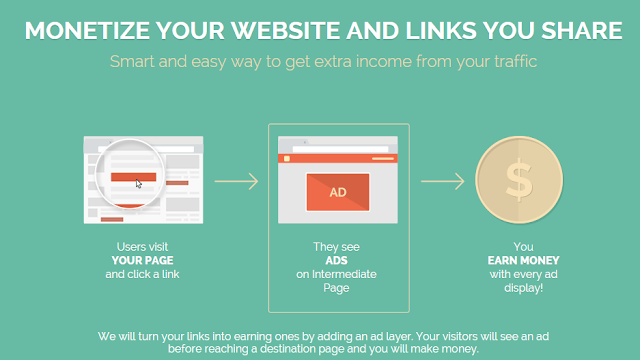 It allows users to shorten any link and then pays us for each visit that users get on their shortened link. Why URL shortener is my favorite? Just read below-given points and you will have your answer. 1. Great Source of Income for Bloggers and Non-bloggers. Yeah! I am saying this tool is also for non-bloggers people. See, if you are the person who does not own any website or blog but use social networking sites (Facebook, Twitter, etc.,) and still wants to make some real money with this tool, then you can definitely make with this. You can find step by step tutorial on 'How-To' below this paragraph so keep reading. 2. High payout rates as compared to other URL shortener sites. Give a look at below given screenshot. They pay as high as 15.20 per 1000 views if you have Good traffic from United States and even this rate varies for different countries. 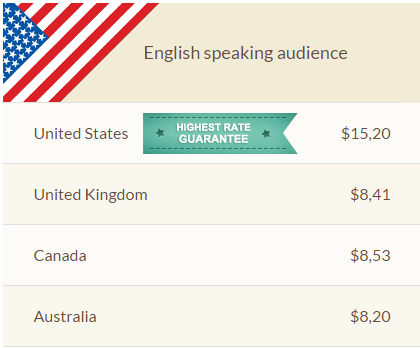 But overall, if you have good traffics from English speaking country then your earning going to Boom. 3. Minimum payout threshold is only $5. Yes, you can withdraw your earnings when you reach at $5 only. No need to wait to accumulate $10 or $25 like other URL shortener sites. 4. Various integration tools and scripts. Using their referral and affiliate program you can also earn commissions up to 20% of what every user you referred earns. 6. Ads are always of high quality. No sensitive ads. 7. Dedicated social share widget for blogs and websites. 8. 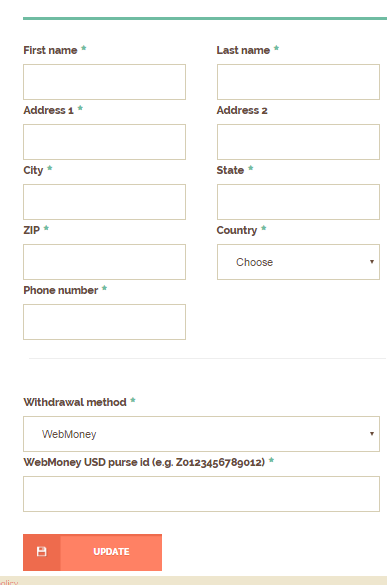 Multiple withdraw options – Paypal, Webmoney and Payoneer. How to start with shorte.st? Well, now I am going to write step by step tutorial to start with this opportunity and increase your monthly earnings. First of all, we will create an account on Shorte.st. It will open a registration page. Register yourself. It may ask you to verify your email address. Navigate to profile settings and update your profile and payment details. This is the most important part of this tutorial as this step will make you able to earn money. Now paste your long URL of anything or that you want to share on your blogs or on your social media profiles and click on 'SHORTEN' button. Step #4 Sharing shortened URL on social profiles or on your blogs. You have done. Now just login to your account and keep an eye on your earnings and click on 'WITHDRAW' button as soon as your earnings reach at $5. 1. You can participate in social networking groups to share your URL's. But don't do like spam. Always share the link of genuine articles with real titles. This will increase trust in readers and they will click on your next links too. 2. You should use these shortened links in your blog posts. 3. If you are the owner of any social group then you can pin your post link at the top. 4. If you are a blogger then you can replace your social widget with shorte.st social share widget. All the links share through the buttons will be shortened under your account and you will be paid for each visit. 5. This site has also an awesome script for BlogSpot comments. This simple script will shorten all the links shared in the comments section and again each click will pay you. You can find the script under the tool tab in your dashboard. 6. If you own fan pages for your blogs or websites then instead of sharing normal links, try to share shortened links. At last, I would just say that if you are looking for any online money making ways then you should go through this site. Before writing and recommending this tool, I have checked it completely and satisfied myself. So, you can start this cool online business of link sharing without any risk. Then, Why to wait? Just Click here to Sign Up Shorte.st. Message: I hope that you have enjoyed 'Earn Money by Using Best URL Shortener Site (Shorte.st) - My Favorite Tool' article. However, if you want me to deliver more items, then please share my post. You can use Social Sharing Widget provided at the end of every post. After all, Sharing is Caring! Yes, it's a good tool to earn money online. A person promoting his/her newly created blog through links, should never use this. Since it will annoy users. But this could prove a great source of earning if used with a good strategy. Yes, users are making good amount using it. You can use the URL of any site and then short them using shorten.